The 2019 Reebok CrossFit Games will open an exciting new chapter in the search for the Fittest on Earth. 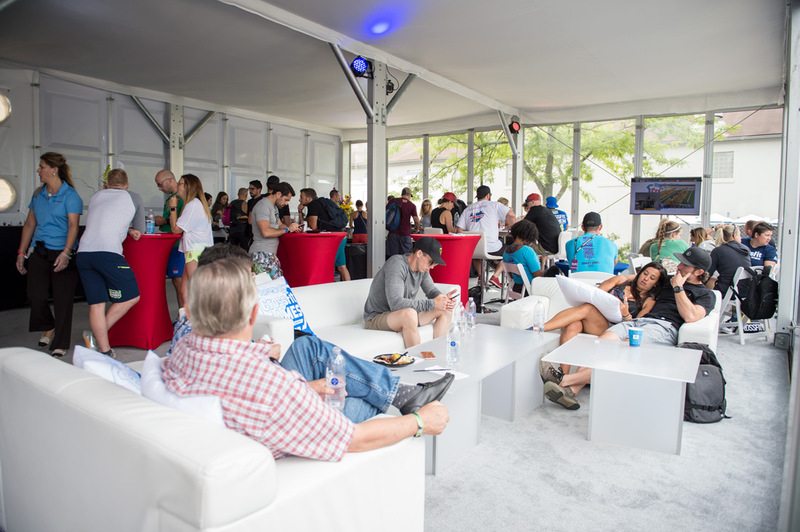 Athletes and fans from the around the world will descend on Madison, Wisconsin, from Thursday, Aug. 1, through Sunday, Aug. 4, and once again, the Madison Club and camping options will provide unique ways to enhance your festival experience. Madison Club and camping passes are on sale now! Here's everything you need to know to craft the best experience for you and your crew. The Madison Club will return at the 2019 Reebok CrossFit Games. Madison Club memberships include a unique opportunity to experience the CrossFit Games in first-class fashion as well as early access to reserved Coliseum tickets. Become a Madison Club member prior to March 31, 2019, for an exclusive chance to purchase reserved Coliseum tickets. Enjoy Madison Club access for all four days of Games competition! 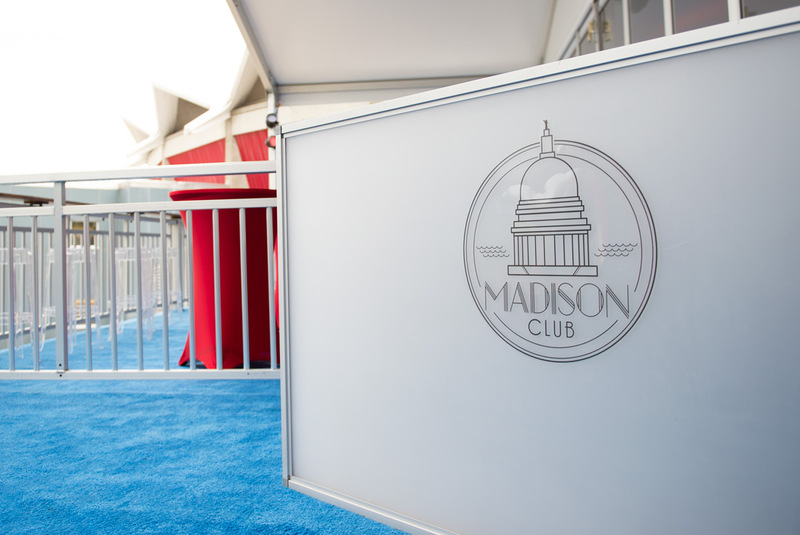 Valet parking (1 valet pass for every four Madison Club passes purchased). Full buffet for lunch Thursday through Saturday, dinner buffet Friday and Saturday, a brunch on Sunday and snacks throughout each day. Beer, wine and non-alcoholic beverages also included. First opportunity to renew your Madison Club passes, which will allow first opportunity to purchase reserved Coliseum tickets for the 2020 Reebok CrossFit Games. $1,000 per Madison Club pass. Buy five or more and your price drops to $900 per Madison Club pass. Note: This is in addition to the cost of your CrossFit Games ticket. Purchasing a Madison Club pass alone will not grant you access to the Festival grounds or Coliseum. Each Madison Club pass is good for all four days of the CrossFit Games. Children 12 and under have free access to the festival but will need a Coliseum ticket for Coliseum access and a Madison Club pass for access to the Madison Club. Tickets are not required for babies two and under who do not need a seat. Picture it: Madison, Wisconsin, Aug. 1, 2019. You wake up to the smell of coffee brewing in a nearby tent, yawn and stretch, and get ready to watch a full day of the fittest show on Earth. For the third year in a row, spectators can wake up every morning with other CrossFit fans, just a short walk from the Coliseum. RV and tent camping will be available for those attending the Games. Arrive and be ready to camp in style with an air-conditioned 16-ft., water-resistant canvas tent, already set up and outfitted with your choice of bed size and quantity. Each tent also includes bedding, end table, lantern lighting, power outlet and more. Festival-goers will have the option to stay in one of the 120+ RV camping spaces located on Willow Island at the Alliant Energy Center. These spaces cost between $1,000 (30-amp) and $1,200 (50-amp) and require a minimum purchase of four (4) Games Festival passes.